Situated in 104 hectares of tranquil parkland, this unique "green" conference facility in the heart of an urban setting, is dedicated to developing environmental awareness and all funds generated are used to support environmental programmes. 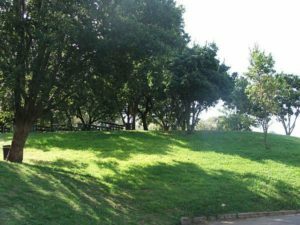 The Centre is situated only 15 minutes from either the Johannesburg City Centre or Sandton, and only 45 minutes from OR Tambo airport. There is ample, free parking. There are several comfortable hotels and bed & breakfast guesthouses located conveniently close to the Centre. 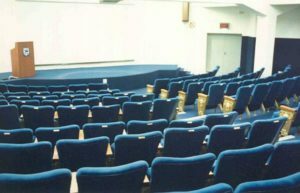 The facilities include an Auditorium, cosy enough for 40, yet it seats 186 in raked, theatre-style comfort and has a small carpeted stage and large-screen projection facilities (data projector available). The versatile 20m x 10m carpeted Function Room can seat 160 and has been used for a variety of events such as exhibitions, cocktail parties, product launches, breakfasts, lunches, dinners, seminars, workshops, training sessions and plays. In addition, we have two breakaway rooms: the Indaba Room which seats approximately 30 delegates, while the Boardroom seats 12. Standard audio- visual equipment such as internet connection, lapel mic, data projector, an overhead projector, direct image projector, flipcharts, 35mm slide projector, whiteboard and a DVD player is available. The Centre has a unique ambience and as well as the small natural history display which can be explored during breaks, there is an outdoor area where delegates can enjoy tea or form breakaway groups under umbrellas and indigenous trees while listening to bird song. We believe every function is special and deserves our personal service and attention to detail, and we pride ourselves on fulfilling our clients' individual requirements. Professional catering can be arranged for your specific requirements.